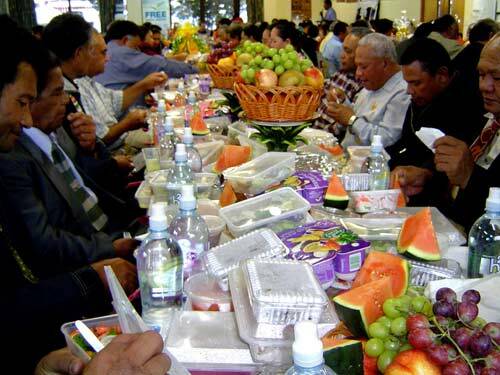 The annual conference dinner of the Onehunga Methodist Church in 2009 saw fatty pork, coconut cream and fizzy drinks banned from the menu and replaced with salads, fruit and iced water. The initiative came from the congregation, which had just completed a 12-week nutrition course with Pacific Island Heartbeat, part of the Heart Foundation. Its mission is to improve Pacific people's health through better eating.